Twenty-six percent of the increase was put down to a rise in the basic state pension from £110.15 a week to £113.10 a week announced by George Osborne in his April 2014 Budget. The vast bulk of the increase however, is due to an improving exchange rate. The value of the pound against the euro has increased markedly over recent months, with a pound being worth €1.25 at the end of June 2014 compared with €1.17 a year previously. These are values not seen since November 2012 and a big rise on the lows of March 2013 when a pound was worth just €1.14. Expat pensioners living in the Eurozone now bring in 26% more than they did just 5 years ago, equivalent to an increase of €1,530 per year. Recent government figures show almost half a million Brits receive the state pension in the Eurozone. Paul Fidell, investment expert at Prudential said, “The relative strength of the pound means that expat pensioners have effectively benefited from a pay rise over the last year. “However, if they are totally or heavily reliant on the State Pension for their retirement income it is important not to fall into the trap of overestimating its buying power. We would agree with Paul’s analysis here. Whilst an increase in the buying power of a state pension is good news, it is important that expat pensioners make the most of their pension provision. Transferring a frozen UK pension into a QROPS is one way to ensure that a sufficient income in retirement is achieved. 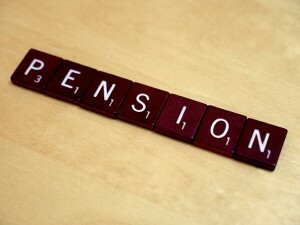 Let us know if you would like to be put in touch with a pension transfer specialist.